Anyone who enjoys cars, even a little, is well aware of the legend that surrounds the Jeep Wrangler. In the 2019 model year, the legend of this icon only continues to grow. 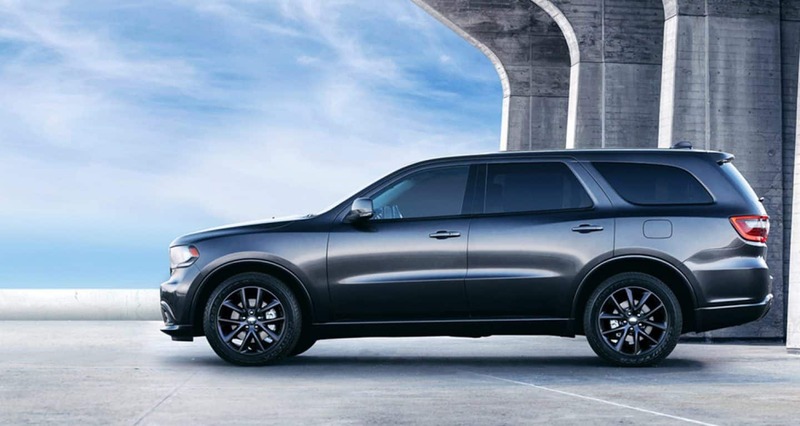 This SUV was completely redesigned in the previous model year, meaning that there are no major changes in 2019, save for the addition of forward collision warning and adaptive cruise control, which are available. Other than those two features you'll still be getting immense off-roading capabilities, extensive customization options, and a rugged Jeep feeling that will make you enjoy your weekends that much more. But off-roading isn't the only thing the 2019 Wrangle excels at. This beast can turn into your perfect daily-commuter, and if you opt for the Unlimited configuration, you can also turn this vehicle into something family-friendly. Interested in learning more? Down below we discuss the latest features offered with the 2019 Wrangler! What safety features are offered with the Wrangler? The importance of safety can never be stressed enough, especially in a vehicle built for adventure, like the 2019 Jeep Wrangler. Safety with the Wrangler starts with preventative engineering. This is specifically in reference to the high-strength steel beams that are used to improve vehicle stiffness and side-impact performance. There is also an advanced front and side airbag system which works in tandem with these inherent features to keep passengers protected no matter the accident. Other available safety features include a tire pressure monitoring system, blind-spot monitoring, rear cross path detection, trailer sway control, a ParkView rear back-up camera, and a ParkSense rear park assist system. What configurations come with the Wrangler? The Wrangler is most definitely not lacking when it comes to options. To start, there are two body styles available with the 2019 model. The first is a two-door configuration which comes in the Sport, Sort S, or Rubicon trim. The second is the four-door Unlimited, which is offered in Sport, Sport S, Sharah, Moab, and Rubicon. 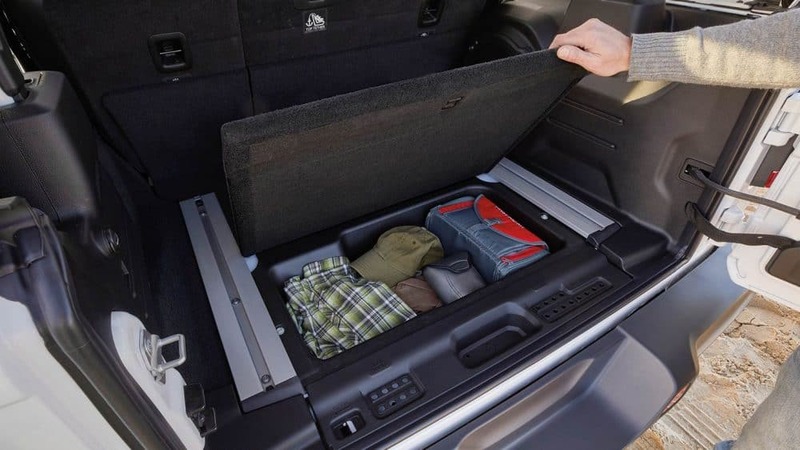 These options allow you to choose whether you're looking for extra seating, something with more luxurious features, or something that adds a punch of ruggedness. Standard features across the board include a rearview camera, an auxiliary audio jack, a five-inch touchscreen, a Uconnect system, an eight-speaker sound system, Bluetooth, a USB port, skid plates, 17-inch steel wheels, fog lights, air conditioning, a driver information display, a full-size spare tire, a tilt/telescoping steering wheel, cloth upholstery, a height-adjustable driver's seat, and a fold-down windshield. 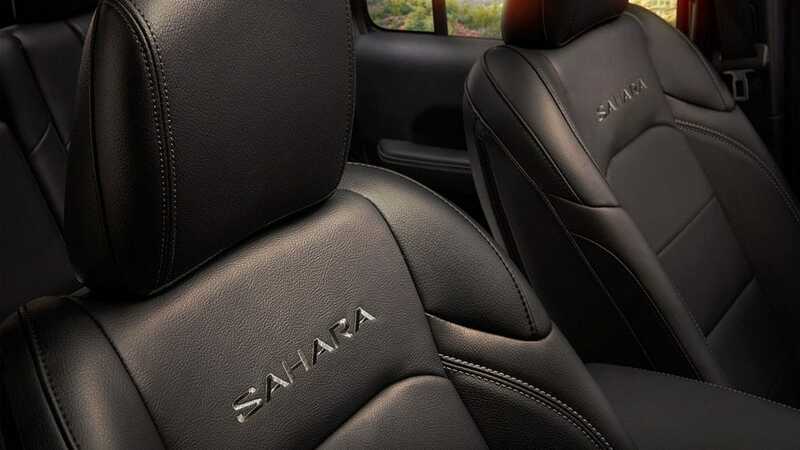 The Unlimited exclusive Sahara trim adds a 7-inch touchscreen, painted exterior trim and body panels, a 115-volt outlet, upgraded brakes, a larger drive information display, Apple CarPlay and Android Auto, and an additional USB port. The highest model, the Rubicon, includes 4.0-to-1 low-range gearing, an electronically disconnecting front roll bar, special off-road tires, and a steel front bumper. What engines are offered with the Wrangler? While the design of the Wrangler is absolutely vital, it is what lies underneath the hood that gets enthusiasts the most excited. The Jeep Wrangler, in the 2019 model year, comes with two available engines. The standard engine is a 3.6-liter Pentastar V6, which is good for around 268 hp and 295 pound-feet of torque. This engine works with either an 8-speed automatic transmission or a 6-speed manual transmission. The optional engine, all-new for 2019, is a turbocharged 2.0-liter 4-cylinder. This engine pumps out 260 lb-ft of torque and 285 hp. The 8-speed automatic transmission comes standard with this engine. We here at Lone Star Chrysler Dodge Jeep Ram are ready to help you get the SUV of your dreams! 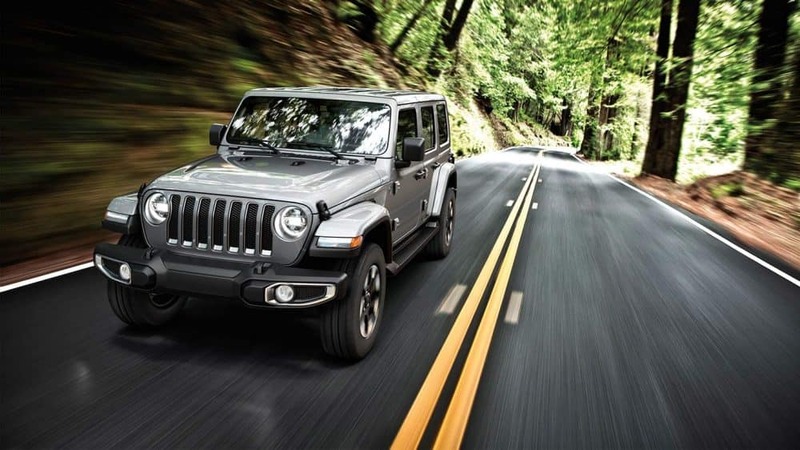 The 2019 Jeep Wrangler has it all, and whether you're an adventurer for the weekend or just an adventurer at heart, this SUV gives you the off-roading and on-roading performance that you're looking for.